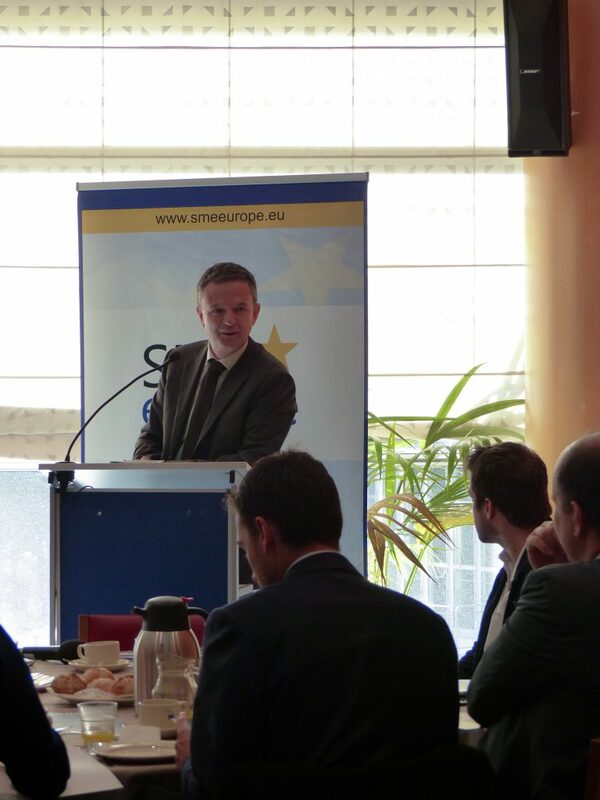 On Tuesday, September 15th 2015, MEP Bendt Bendtsen, Member of Committee on Industry, Research and Energy, moderated a Working Breakfast on the topic “Importance of the Digital Single Market for App Developers”. The event was attended by stakeholders from all over Europe, and also included keynotes from MEP Pablo Zalba Bidegain, the Vice-Chair of Committee on Economic & Monetary Affairs and Chairman of the SME WG Digital Agenda, Eric Mamer, the Deputy Head of Cabinet Commissioner Oettinger, and Catriona Meehan, the Director of EU Policy and Government Relations of the Application Developers Alliance. Statements were performed by Dr. Gi Won On, the President of Korea Research & Innovation Centre-Europe, and Attila Rácz, the CEO of Magic Solutions from Romania. 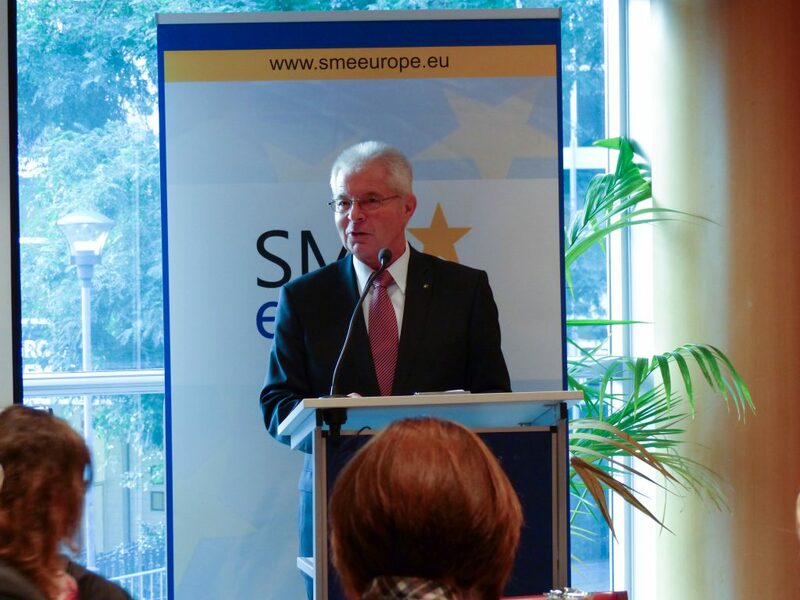 MEP Heinz Becker, President of the Austrian Senior Citizens’ Union, gave an introductory speech about the internet of things and the Digital Single Market. “Europe is highly competitive” he stated, proceeding on the influence of high costs due to the lack of the Single market. Furthermore he presented proposals to solve data protection issues because “Data is the currency of the Digital Market”. Another main point of his speech was highlighting the opportunities which Apps can offer in the daily life improving the quality of senior citizens in terms of security and freedom. 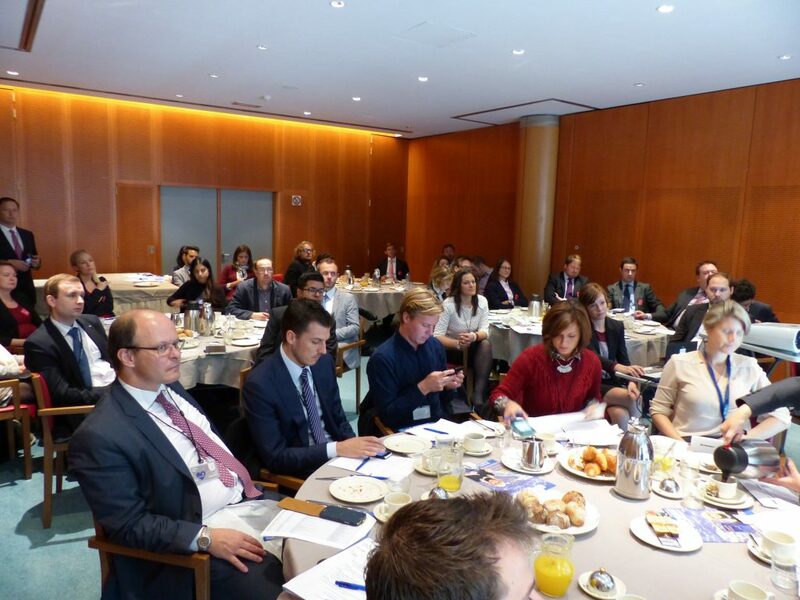 MEP Pablo Zalba Bidegain, Vice President of SME Europe, advanced the audience with concerns about mobile data and its need of infrastructure measures. Through his activities 50 billion devices could be connected, referring to the internet of things. Growth and jobs are secured through his engagement. In the period between 2006 and 2011, 55% of US GDP was generated through the digital economy whereas it was only 30% in the European Union. This year, the European Union was able to reduce the gap and thereby increasing the share of GDP created in the Digital economy. This creates employment and will result in a total amount of two million new jobs by the end of 2015. 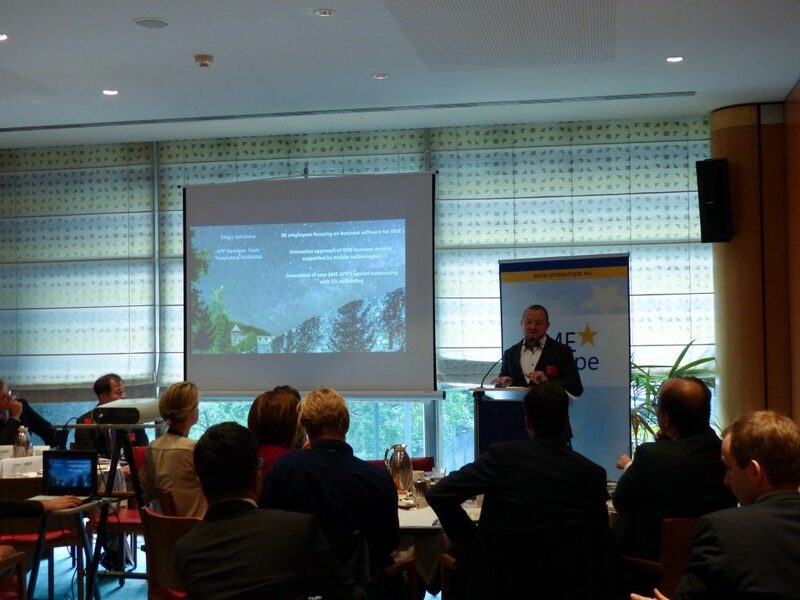 Afterwards MEP Zalba Bidegain claimed that app developers shall have better access to capital markets and reduced cross-border bureaucracy. He called for favourable investment conditions which should be implemented as soon as possible. He referred to Europe´s situation as being “A unique chance” and called for similar investments comparable to the business friendly environment in South Korea. After Pablo Zalba Bidegain the next keynote speaker continued the Working Breakfast. Catriona Meehan, Director of the Application Developers Alliance, took the floor and presented the position of her association. 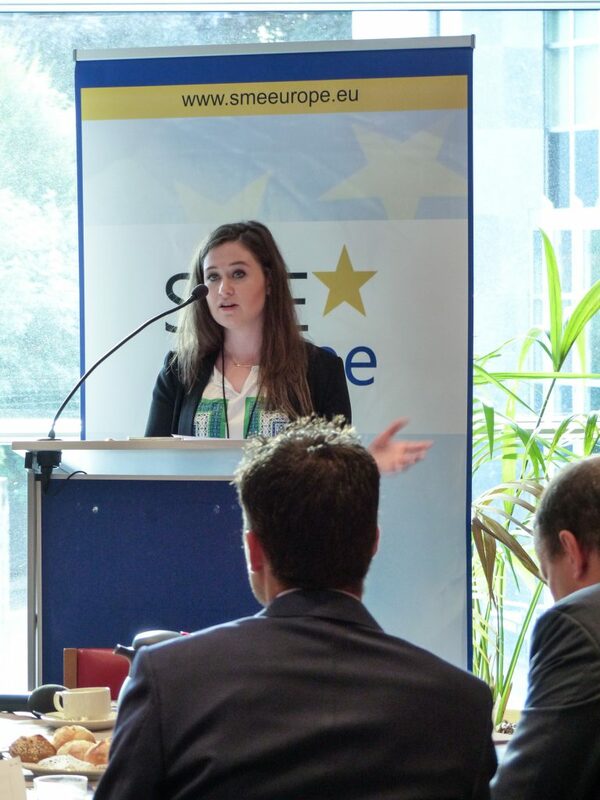 After a brief introduction she elaborated ADAs position on the burdens of App entrepreneurs in Europe. The fragmentation into 28 different National Digital Markets is the biggest obstacle Europe´s App developers are facing. The harmonization of the different markets into one Digital Single Market would ensure a continuous growth of the economy. She claimed that “easy tools in order to handle the different regulations in the EU member states” are essentially needed to help the App developers all over Europe. Eric Mamer, Deputy Head of Cabinet Commissioner Oettinger, started his speech with a useful example for the importance of apps. These representative example described the value of applications in the tourism sector, which led up to 95% utilization in various hotels. This illustrated image showed the use of apps in our daily life style and for the economy. The only requirement is based on an availability of high speed internet for mobile devices across all member states of the EU. 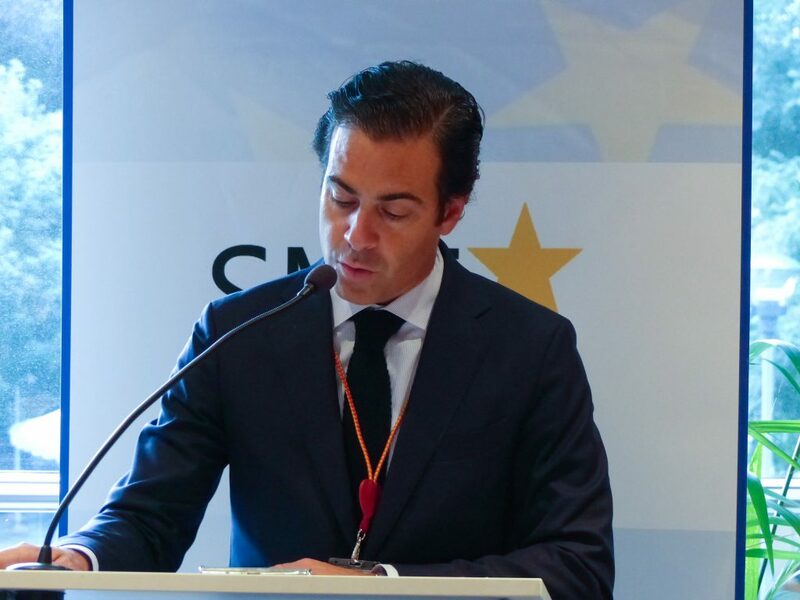 An awareness for the Digital Single Market should be part of the daily life of the European citizens and in particular be introduced into the agenda of Europe’s universities in order to compete with the rest of the world. “We need Stanford” he proclaimed and emphasized the need of these institutions in Europe. The Digital Single Market needs a European legislation for the member states to “enrich each other”, and, as Eric Mamer empathized, “we need to speed up” to set up required rules and infrastructure on time. 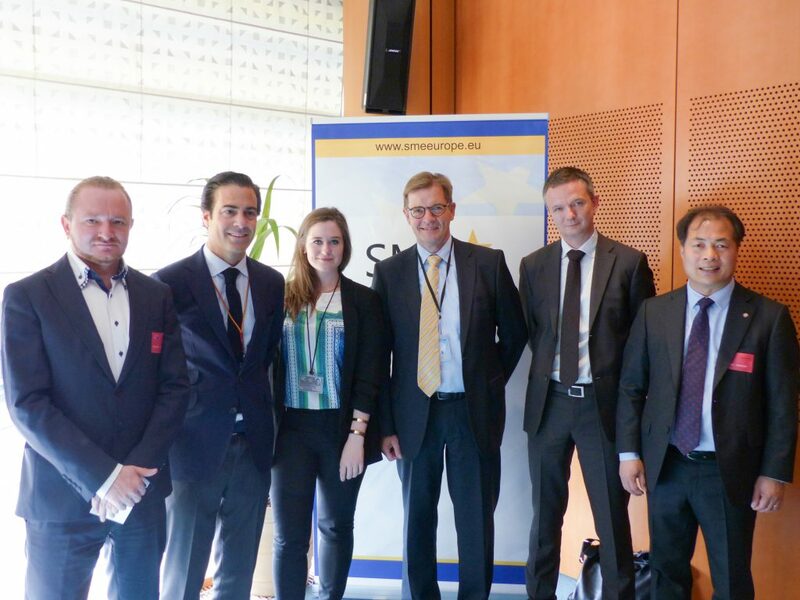 The European Commission and especially the Cabinet of Commissioner Oettinger, with Digital Economy & Society being part of their competence, is aware of the problems and needs of SMEs in the App development sector. Cutting the red tape and the defragmentation of the national digital markets is the main focus of the Commission. One of the crucial requirements is the harmonization and implementation of European Law into national legislation to foster the growth in the EU for this future market. European Small and Medium sized Entrepreneurs have to have simplified and united conditions to compete with their international counterparts. Afterwards Attila Rácz, Chief Executive Officer of Magic Solutions a company based in Romania, entered the stage and gave his statement. He acknowledged the valuable contributions of the previous speakers. Then he empathized that his opinion about the Digital Single Market is converging with those of the last generic viagra online spokesmen before continuing to present his company. His speech ended with mentioning the issue of the different regulations between the EU member states and calling for “making things easier” in that area with a “focus on the small things”. At last Dr. Gi Won On, President of Korea Research & Innovation Centre-Europe, gave his statement by primarily explaining the success of the Korean Digital Economy. He pointed out that companies in this sector have huge investments in Research and Development which enable them to stay ahead of competition. 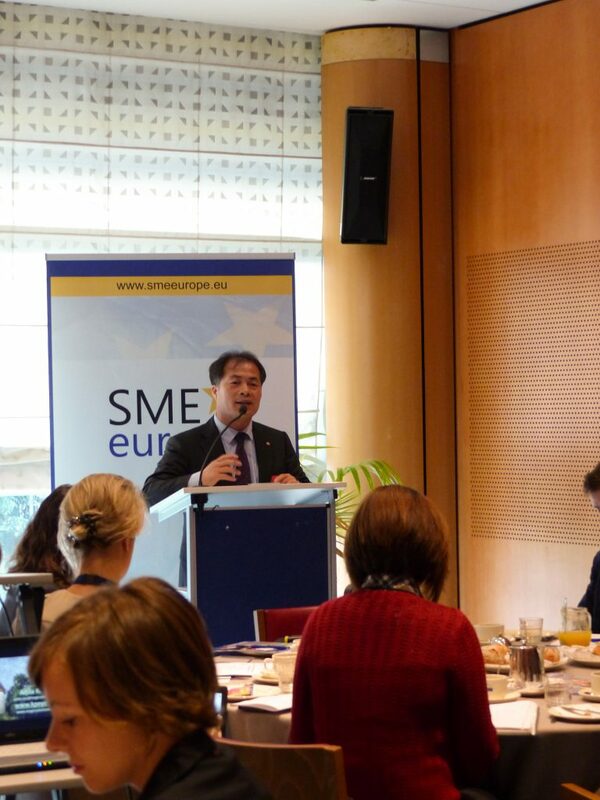 In addition Korea managed to set up a creative economy serving to help innovators, which is still needed in the EU. In the end a lively discussion took place in which most questions were placed on how to realize and execute the Digital Single Market.